Widely recognised Sealink brand is chosen to unite and strengthen established multi-band maritime communication VSAT portfolio. Posidonia 2016, Athens, Greece, 7 June 2016 – Marlink has united its global VSAT offering under its well-established Sealink brand. Going forward Sealink will be the single brand name for the Marlink’s entire multi-band maritime communication VSAT services portfolio. The Sealink brand strengthens and simplifies Marlink’s customer offering as it covers all VSAT services on Ka, Ku and C-band as well as future HTS based service packages. The introduction of Sealink as a single brand for the company follow’s the establishment of the rebranded Marlink on February 25th 2016. As a result, Marlink now provides its satellite services to all maritime and enterprise end-users and global channel partners. 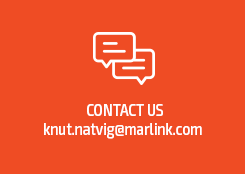 Sealink has played a vital role in the early development of maritime VSAT and has previously been used to identify Marlink’s customised services delivered direct to users primarily in the cruise and offshore sectors. From now, it also replaces the WaveCall and Pharostar brands as the only satellite service name in Marlink’s market-leading multi-band service offering. Marlink will continue to build out its future-proof VSAT portfolio under the Sealink brand, with upcoming HTS services and seamless integration with innovative Value Added Services such as XChange and SkyFile.